Services: Tickets. Time: Permanent Collection: Monday from 12h to 16h, Tuesday to Sunday from 10h to 19h. Temporary exhibition From 25 October to 27 January 2019 Monday Closed. Tuesday to Sunday from 10h to 19h. Saturday from 10h to 21h. 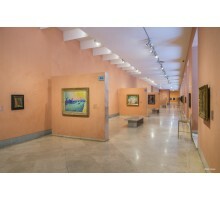 Start Location: Thyssen Museum. Conditions: Book at least 24 h. advance. Cancellation fee: 100% for less than 24 hours notice or no-shows. Observations: After booking this ticket, you will receive by e-mail the tickets to the Museum within a maximum of 12 hours. This ticket allow yo to go directly to the Preferential Box Office, for direct access to the museum, skipping the line. Free entrance for children under 18 years of age. This ticket allow you to go directly to the Preferential Box Office, for direct access to the museum, skipping the line. THE VOUCHER RECEIVED AT THE TIME OF THE BOOKING IS VALID. 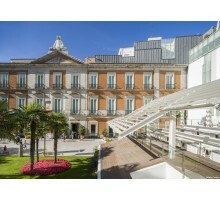 The Museo Thyssen-Bornemisza offers visitors an overview of art from the 13th century to the late 20th century. In the nearly one thousand works on display, visitors can contemplate the major periods and pictorial schools of western art such as the Renaissance, Mannerism, the Baroque, Rococo, Romanticism and the art of 19th and 20th centuries up to Pop Art. 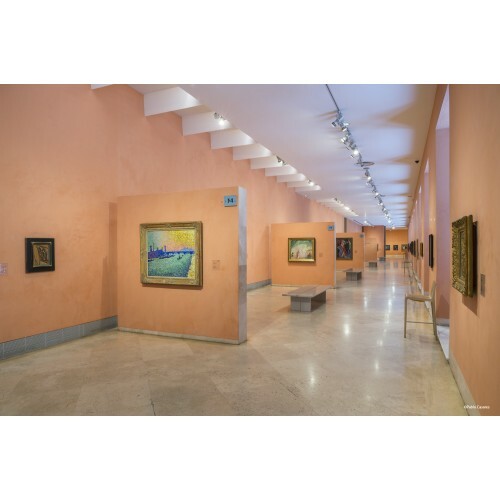 The museum also features works from some movements not represented in state-owned collections, such as Impressionism, Fauvism, German Expressionism and the experimental avant-garde movements of the early 20th century . In addition, it boasts an important collection of 19th-century American painting not found in any other European museum institutions. Dürer, Raphael, Titian, Rubens, Rembrandt, Caravaggio, Manet, Renoir, Cézanne, Van Gogh, Gauguin, Kandinsky, Picasso, Hopper and Rothko are among teh great masters of painting whose works fascinate and delight visitors. Among the collection of almost 1,000 works on display, visitors can pause in the Renaissance, linger in the Baroque, discover Impressionism or enter the world of the 20th-century avant-garde movements. The history of western art unfolds before our eyes in the galleries of private origins. This international collection that now belongs to the Spanish nation introduces us to the remarkable tastes of its two principal creators: Baron Heinrich Thyssen-Bornemisza (1875-1947) and his son, Hans Heinrich Thyssen-Bornemisza (1921-2002). In contrast to the Spanish royal collections with their majestic works of art, a visit to this essentially private collection offers a delightfully intimate experience. 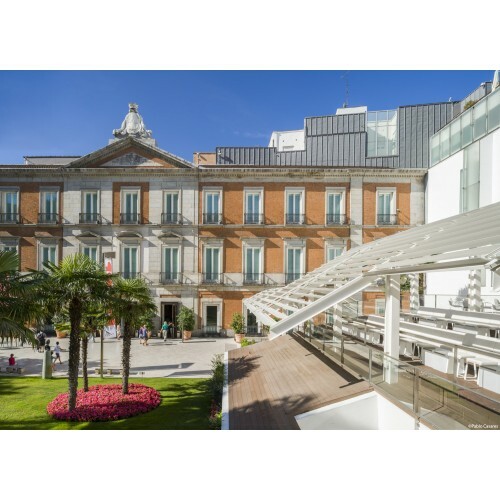 Accessible, dynamic, ground-breaking, sustainable and with the highest standards of visitors services, the Museo Thyssen-Bornemisza focuses on all sectors of the public, particulary young people; Temporary exhibitions, concerts, live music, workshops, film and theatre together create a wide range of options aimed at all our visitors. *Last access will be 1 hour before closing time. *The eviction will be 5 minutes before closing time. *At the time of the exchange of the bonus at the preferred box office, request the access time for the first available pass of the Temporary Exhibition, if you wish to visit it. Access to the temporary exhibition is done with hourly passes every 15 minutes. Metro: Banco de España (line 2). Bus: L1,L2,L5,L9,L10,L14,L15,L20,L27,L34,L37,L41,L51,L52. Renfe: Atocha Station and Recoletos Station. *BiciMad: nº29 Station (C/Marqués de Cubas, 25). This ticket allow you to go directly to the Preferential Box Office, for direct access to the museum, skipping the line. THE VOUCHER RECEIVED AT THE TIME OF THE BOOKING IS VALID.